The Capitol Symphonic Youth Orchestras depends on its valued volunteers to maintain the year-round operations of its programs. We are always looking for volunteers for on-going and specific projects throughout the year. 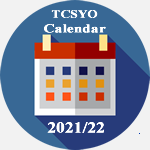 TCSYO’ friends and parents can volunteer in various ways including: assisting with special events; handing out programs at concerts; setting up concert receptions; and assisting TCSYO’ office staff with mailings or other office work. Merchandise - sell TCSYO merchandise (T-shirts, sweatshirts, coffee mugs, etc.) at one or more concerts during the season. Volunteer Coordinator - requires calling other parents to organize volunteers for TCSYO's events. or if you have special skills that you would like to offer TCSYO, we would love to hear from you. If you are interested in volunteering, please contact us at 703-638-9328 or via email info@tcsyo.org, for more information.